Ianna from Katherine, Shawn from Alice Springs and Grace from Darwin - along with two chaperones will travel to Hawaii later this week to begin their journey. 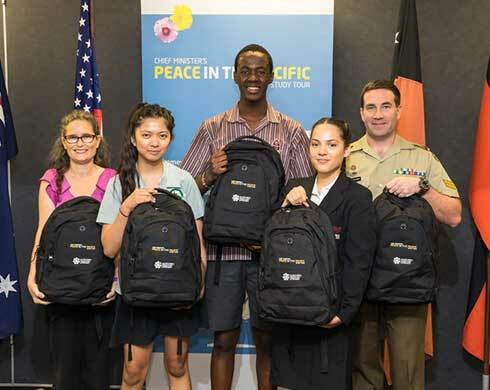 The Peace in the Pacific study tour provides an opportunity for Territory students to learn about our region, our allies and the military connections between the Northern Territory and Hawaii. The students will visit important World War II military sites and attend the National Pearl Harbour Remembrance Day on 7 December 2018. Fifteen entries were received from students around the Territory, you can read and view the successful entries on the Northern Territory Government website.